A very intriguing prospect thanks to his great height, insane wingspan and surprising mobility for a 7-2 player. In just a few years of playing basketball he has developed into a truly talented center and the sky is the limit to how good he can eventually be. You can't teach a 7-3 frame or a 7-11 wingspan. 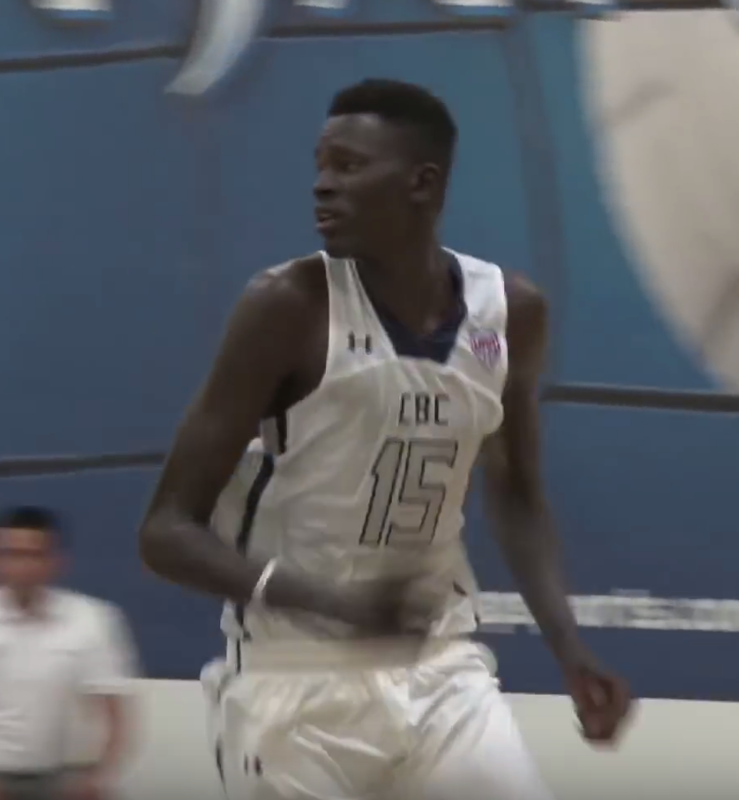 These measurements set Marial apart from almost every other prospect, but he's much more than just a tall player. He's got good mobility and shows surprising athleticism and coordination for a such a tall player. He's got good bounce which, combined with his length, allow him to play way above the rim. He can dunk the ball from outside of the paint and he's a menace on the defensive end. His footwork and agility are impressive and he is developing an advanced array of back to the basket and face-up moves. Like many African born players he has a background in soccer, which really shows in his smooth footwork. He's developing a baby hook shot, which is nearly impossible to block thanks to his height. Marial gets a lot of his buckets on follow up dunks and put-backs, and he's a major threat on the offensive glass. He's got decent form on his jumper and can step out to 18 feet and hit shots. Defensively Marial is an anchor in the lane, changing or blocking shots and intimidating opponents with his great size. He can block shots from across the lane and makes up ground quickly thanks to his length and quickness. Does a nice job of tracking the play as a trail defender and can come out of nowhere to block the shot. Seems to have his head screwed on straight, shows good competitiveness and his a hard worker with a desire to be great. Very thin and light (just over 200lbs) and has a long way to go to get his body NBA ready (although he's already gained a good amount of upper body strength/muscle). Is still very raw on the offensive end and is still learning the game and getting a feel for spacing and timing. A taller, longer Thon Maker.